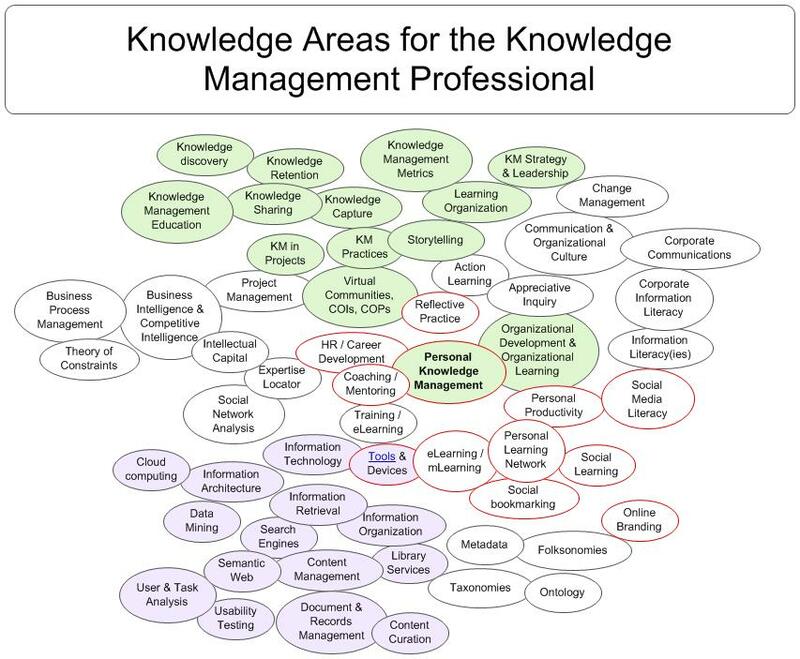 This visual has nothing to do with a rigorous analysis of what a KM curriculum would need to address but it has a lot to do with areas/fields/topics I've encountered while DOING knowledge management. 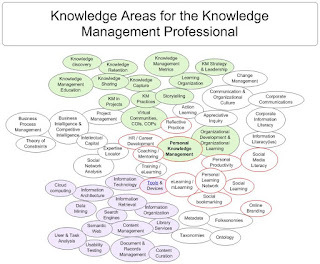 I've highlighted Personal Knowledge Management in bold because it ended up in the middle of my arrangement of bubbles somehow and it is often neglected and ignored by KM programs. I've used a loose coloring scheme to differentiate things that were strictly KM (ugly green) from IT-related items (light purple), from individual-focused items (red line) and organization-level focus.